OnePlus had announced the OnePlus 6T at an event in New York yesterday and today the OnePlus 6T has arrived in India. The OnePlus 6T features a larger 6.41-inch Optic AMOLED display with 86% screen-to-body ratio and the display is protected by Corning Gorilla Glass 6. The device is powered by Snapdragon 845 Mobile Platform with up to 8GB of RAM and up to 256GB of internal storage. 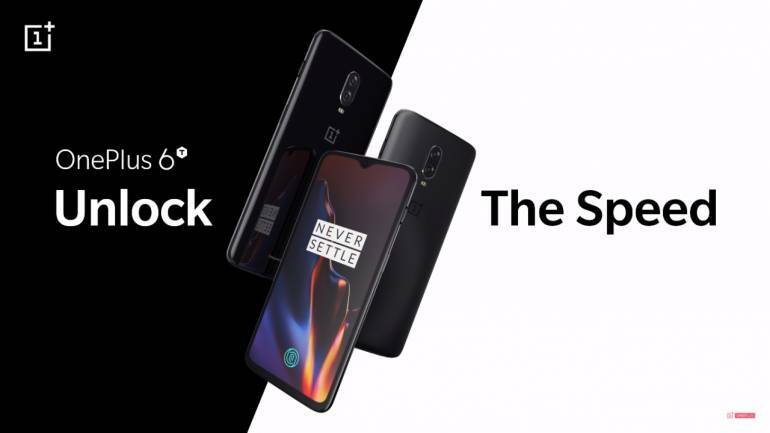 The OnePlus 6T runs Android 9.0 (Pie) with OxygenOS 9.0 with support for Android’s full-screen gestures and support for Smart Boost technology that improves app start speeds to 5 to 20% by storing data from frequently used apps in the phone’s RAM. But the most exciting feature of the 6T is its in-screen fingerprint sensor which OnePlus is calling as ‘Screen Unlock’. According to OnePlus, the in-display fingerprint sensor can unlock the phone in 0.34 seconds. However, the 3.5mm audio jack has been removed from the device and to make up for it OnePlus is bundling a USB Type-C to 3.5mm adapter inside the box, and if you have pre-booked the device you’ll be getting free USB Type-C earphones as an introductory offer. The OnePlus 6 comes in Mirror Black and Midnight Black color variants only as of now. The 6GB RAM with 128GB version is priced at INR 37,999, 8GB RAM with 128GB storage version costs INR 41,999 and the top-end 8GB RAM with 256GB storage version is priced at INR 45,999. All these variants will go on sale in India starting 1st November exclusively on Amazon.in. Also starting November 3rd the device will go on open sale on OnePlus.in, Amazon, OnePlus stores, Reliance Digital and Croma stores offline.